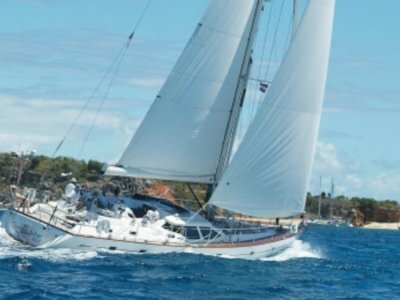 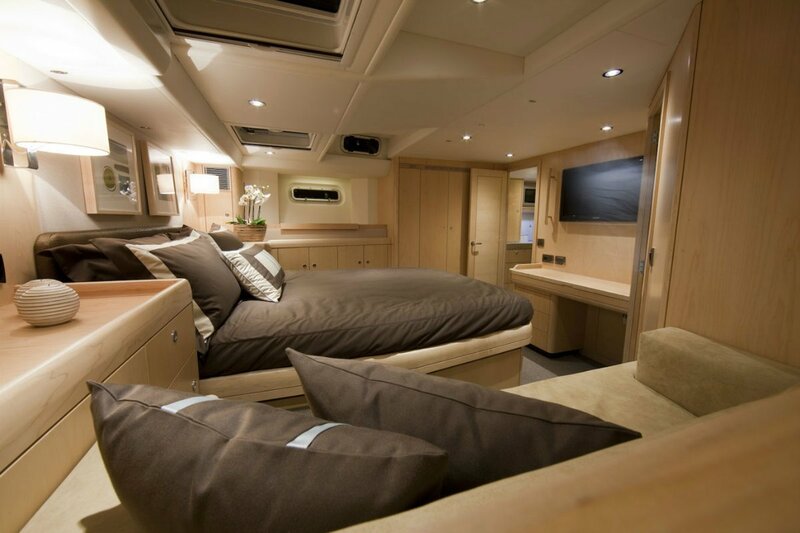 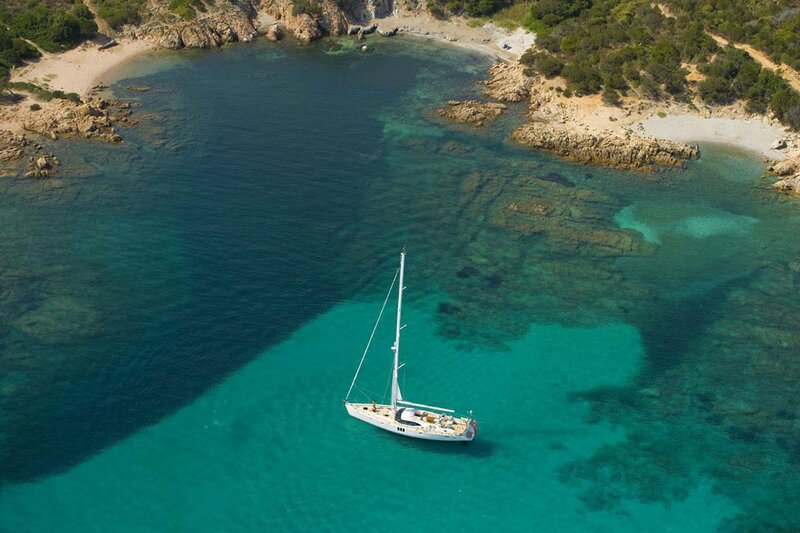 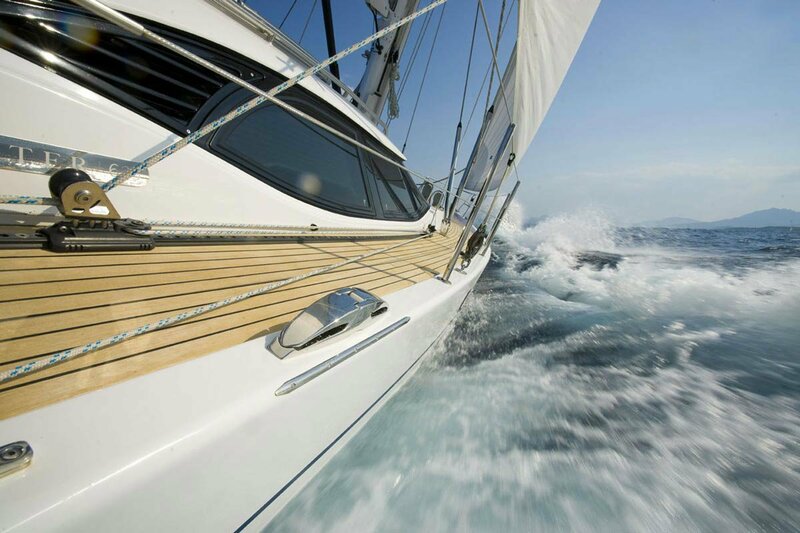 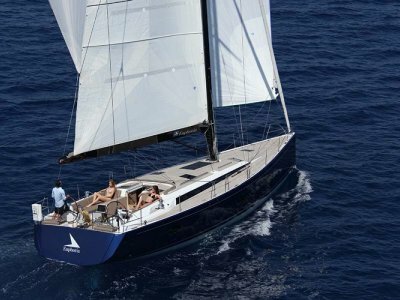 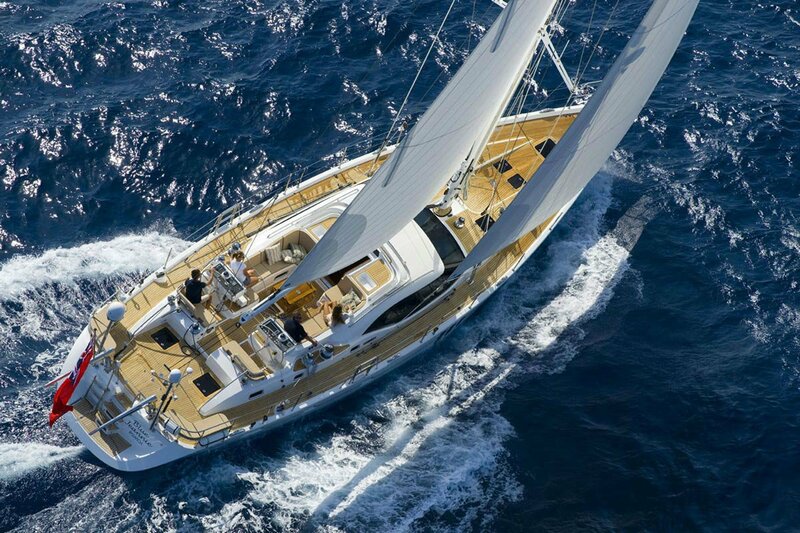 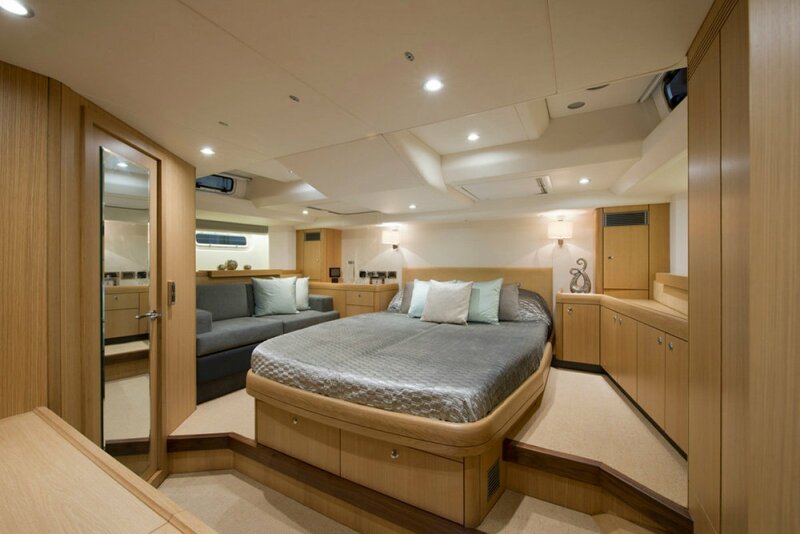 The triple award winning Oyster 625 is designed to bring some significant improvements to the already successful pedigree of the Oyster 61 and 62. 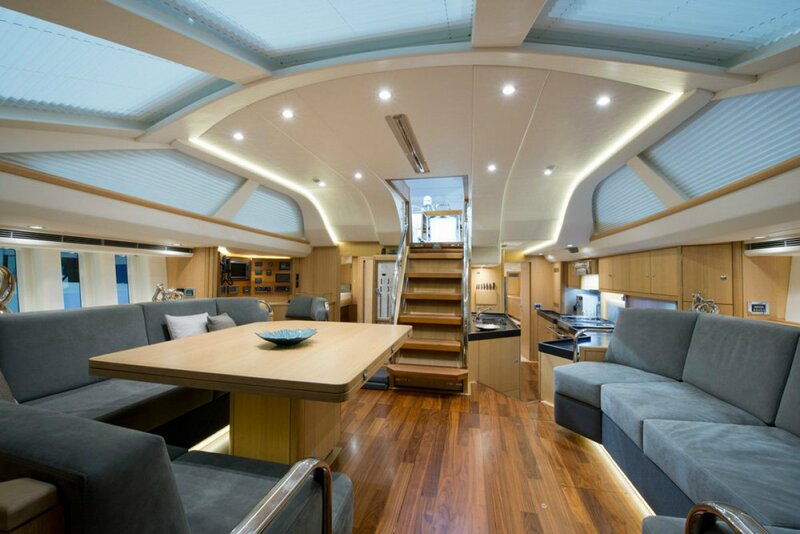 A new hull design by Humphreys Yacht Design with increased performance and handling, options for a sportier rig, several interior layout options and increased space in the master cabin by utilising the fuller aft sections are just some of the enhancements we're launching with this new design. 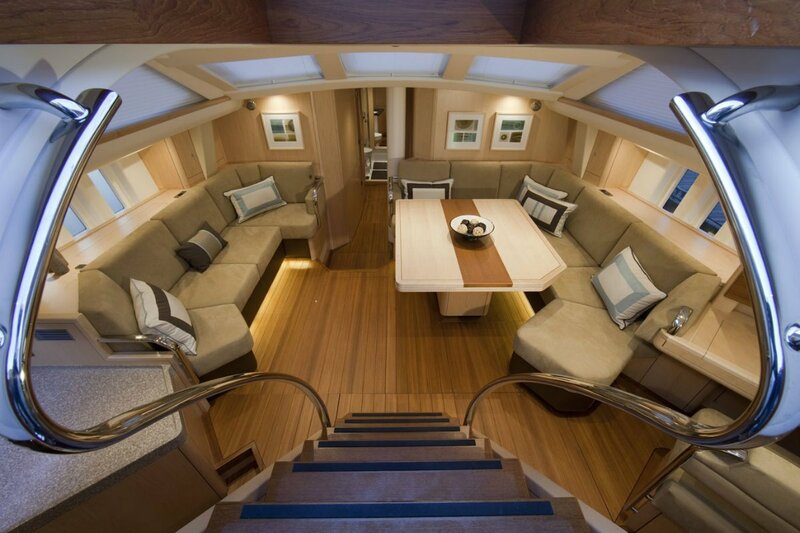 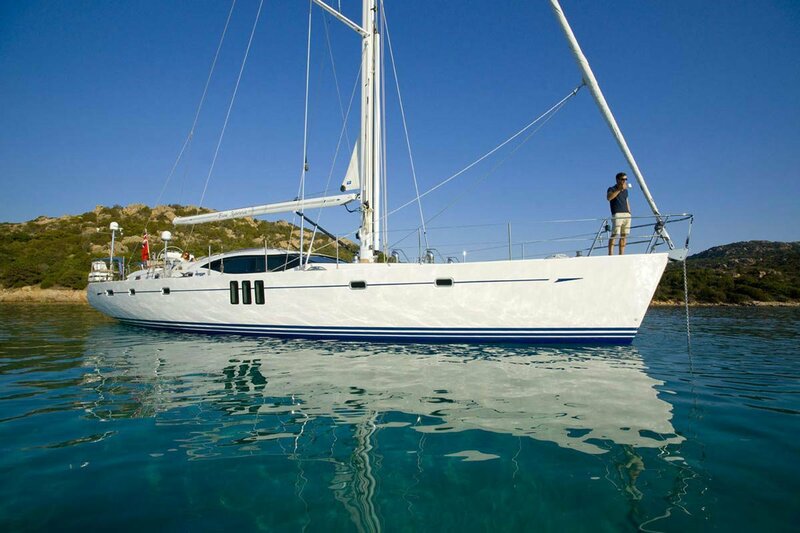 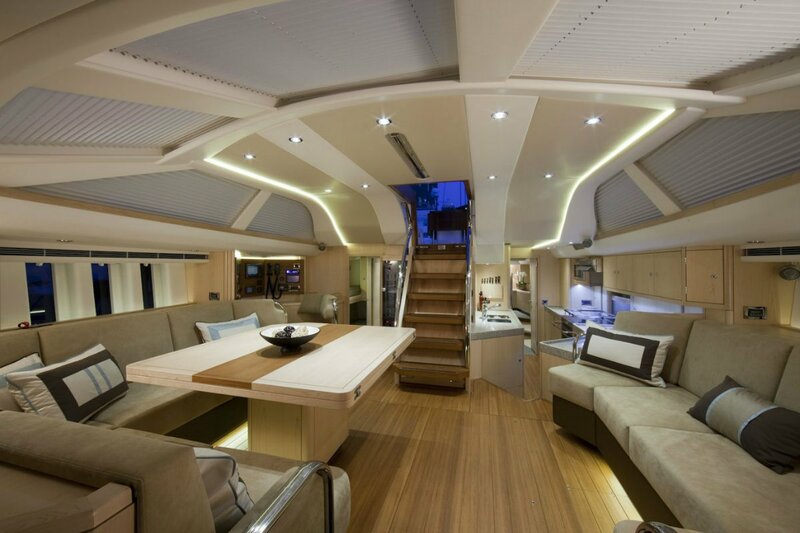 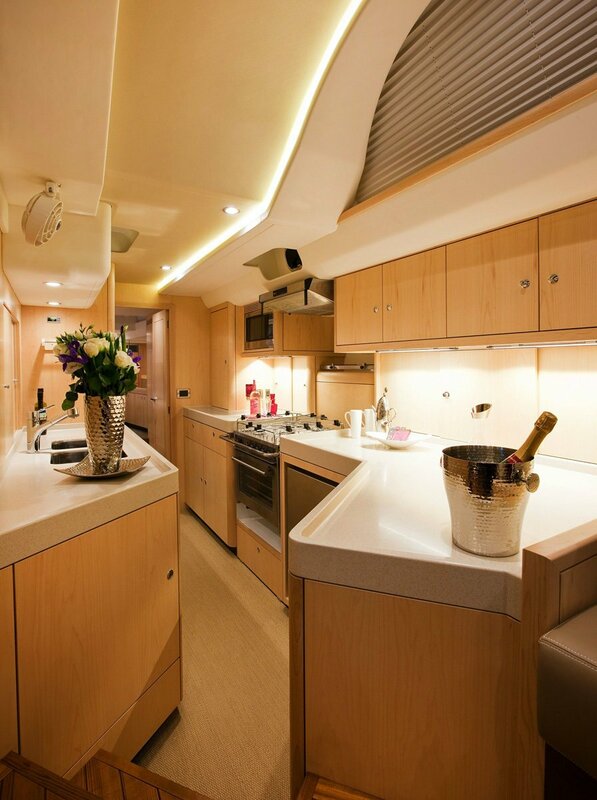 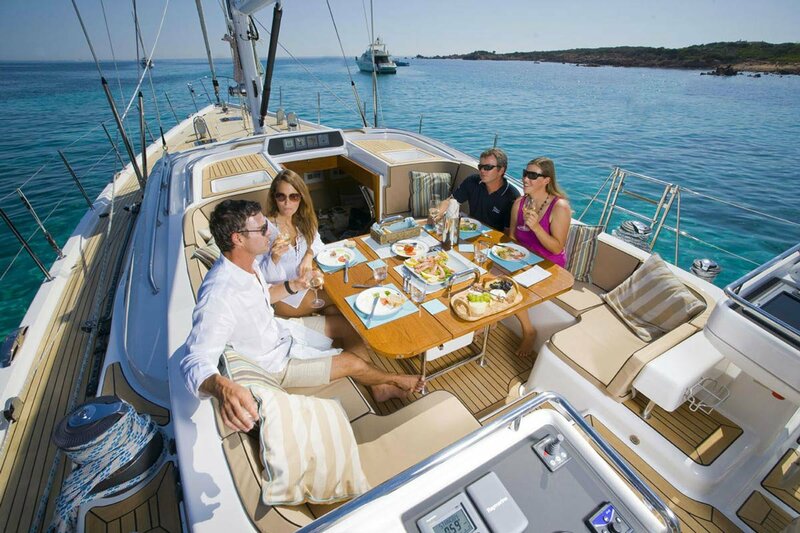 Designed for comfortable live-aboard family and friends sailing, the 625 interior options also allow for a forepeak layout to be set out for a full-time crew member. 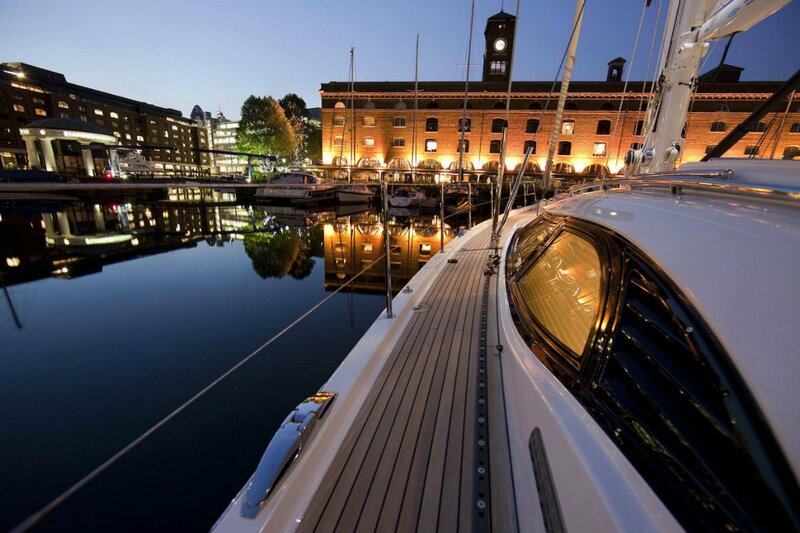 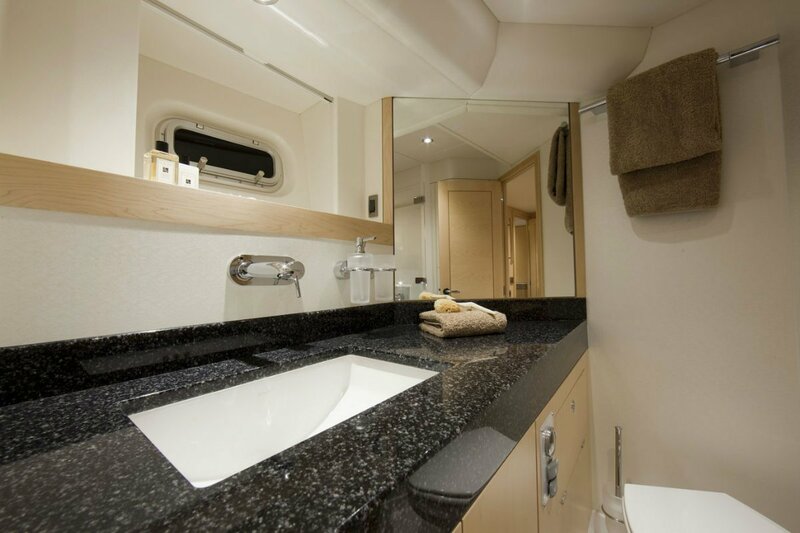 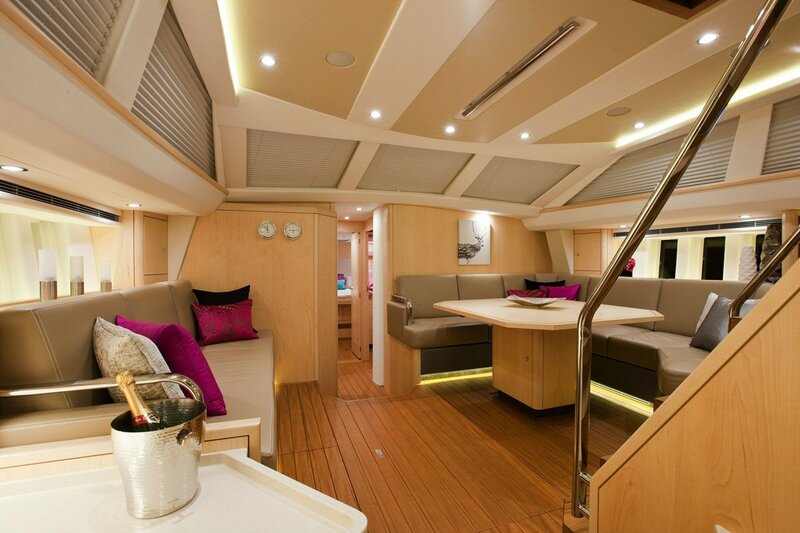 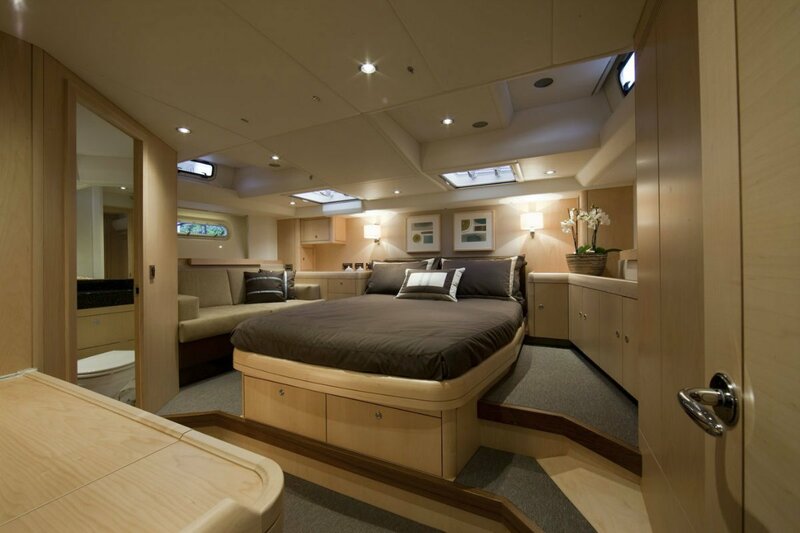 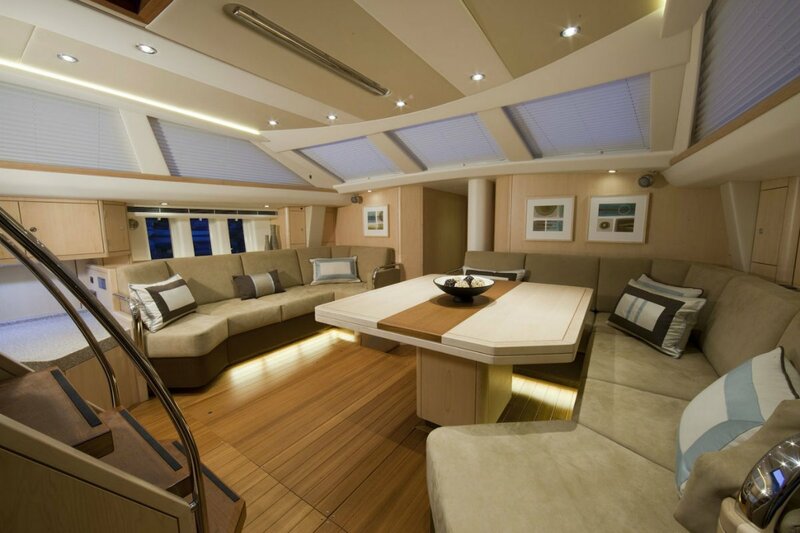 The main areas in the yacht feature two forward cabins, each with its own heads and shower, a spacious owners suite and a fourth cabin that can be configured as a workshop, guest cabin or a children's cabin with access from the master cabin. 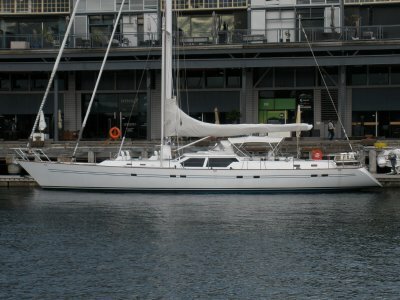 Keel-stepped, fully battened mast. 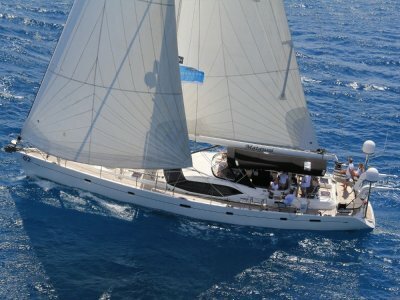 Rig configured for fully-battened mainsail with lazyjacks, reef outhaul winch on mast, and reef/outhaul jammers in boom.